My youngest likes to collect rocks. 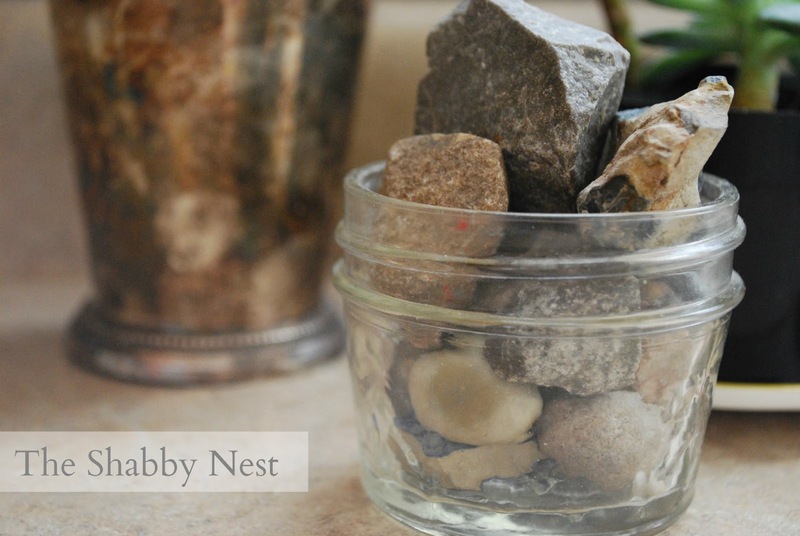 Perhaps you recall seeing this little jar of stones that sits in our kitchen. 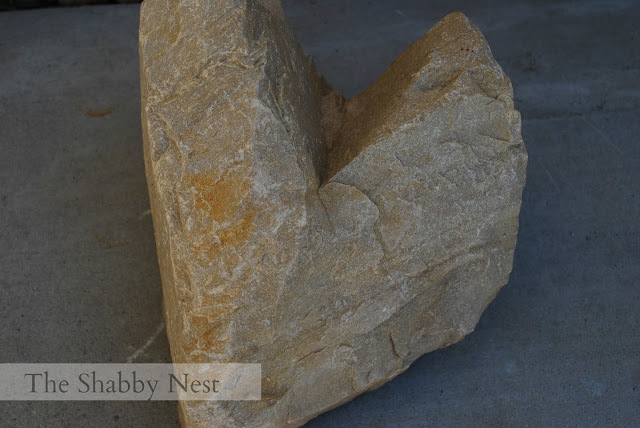 He routinely brings home new rocks to add to his ever-growing collection. His criteria is simple: they need to be "cool". His new favorite types of rocks to bring home are heart rocks and wishing stones. He hauled home this heart rock a few weeks ago. Although I wouldn't really classify it as a rock. It's more of a boulder (ha ha!) It is quite large though. Probably a foot across. And heavy too. I'm not exactly sure how he got it home. But he's infatuated with it. I must admit, it is pretty cool. Then there are the wishing stones. Have you heard of wishing stones? A wishing stone is rock that has an unbroken ring of another color all the way around it. The story goes that if you find a wishing stone, you make a wish on it. But in order for your wish to come true, you need to give the stone away. I first heard about wishing stones from my sister-in-law. When the hubby's brother graduated from medical school, my sister-in-law (his wife) had a basket full of wishing stones that they had collected during his time in school. At the graduation dinner, she gave each attendee one of the stones. What a fun tradition, huh? I have collected a few wishing stones of my own since then. And given them away when I could. Now it looks like my youngest is following in the tradition. Heart rocks and wishing stones. The collection of a boy who loves rocks. How cool! 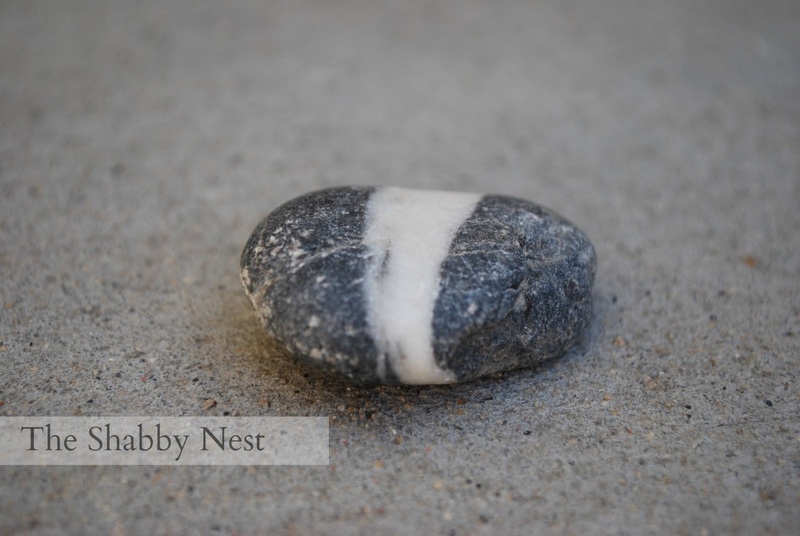 I am rather enthralled with rocks too, but I prefer them to be odd. lol I have a couple of heart rocks myself. I have never heard of a wishing rock but I love it and will start watching for one. My daughter loved rocks and fossils when she was little and left her whole collection here when she married. I'll have to see if she has a wishing rock. Such a simple way to corral a collection. Thanks for the tip. Love the heart rock, you don't find many shaped like that. And I've never heard of a wishing stone, so thanks for sharing!